There’s been a lot of activity around amateur radio at Workshop 88 in the last few weeks. 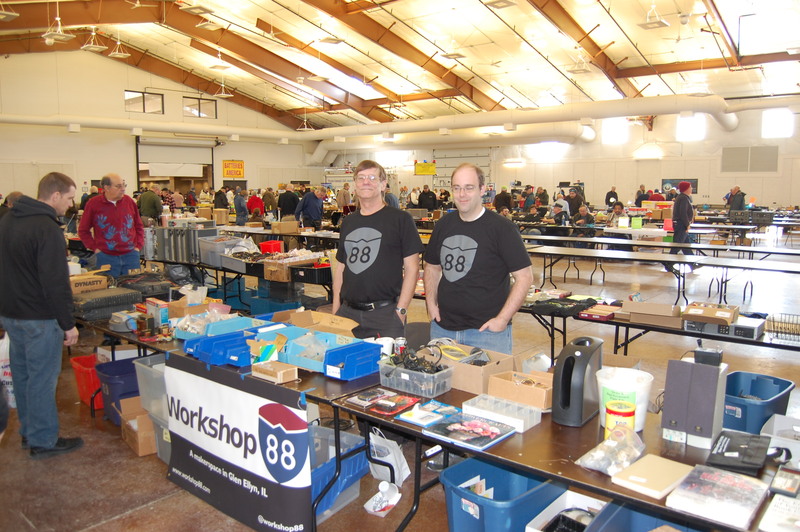 The biggest portion of that was organized by Eric S. and Paul R., who had a table at the WCRA Mid-Winter Hamfest. Andrew M. helped with the table as well, and Tom M. and I also stopped by. We’ve had a lot of electronics gear donated over the last year, and most of it just wasn’t being used. We were able to sell quite a bit of it to people who will actually get some use out of it, and raise some money for Workshop 88 in the process. In addition, we’re talking about organizing some sort of study session or workshop to help people get their start in amateur radio. We have several very knowledgeable hams who are members, and a number more who are interested in getting their license for the first time. If you’re interested in radio or want to find out what it is all about, come out to a public meeting night at Workshop 88 (every Thursday at 6:30) and introduce yourself!